Viermot Aces' were pilots who shot down five or more USAAF and RAF bombers during the daylight Defence of the Reich missions from May 1942 through to VE Day. 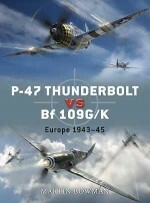 This book tells the complete story of the men and the planes that challenged the great bomber offensive. 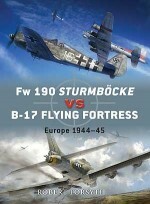 Flying a number of different aircraft including the Bf 110G, Me 210 and the Me 410, they fought their desperate battles against the numerous machine guns of B-17s and Lancasters. 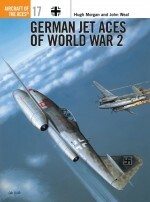 This book also covers the 'jet aces' that flew the Me 262 jet-powered interceptors in the closing days of the war to wage a desperate last-ditch fight against the endless Allied bomber fleets. 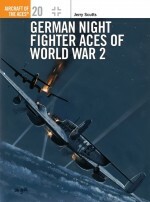 Robert Forsyth has studied the history and operations of the Luftwaffe for many years. 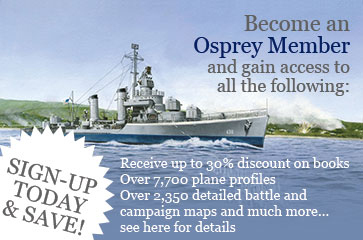 He has written three books for Osprey - AEUs Jagdverband 44 - Squadron of Experten and Jagdgeschwader 7 'Nowotny' and Duel 24 Fw 190 vs B-17. 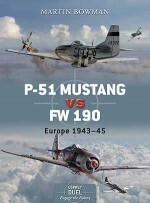 He is also the author of JV 44 - The Galland Circus (1996), Battle over Bavaria: The B-26 versus the German Jets (1998), Mistel: German Composite Aircraft and Operations 1942-1945 (2001) and Messerschmitt Me 264 Amerikabomber (2006 - with Eddie J Creek). He works in publishing.